Unique to this switch, is the viewing window embedded in the bushings with a visible break. 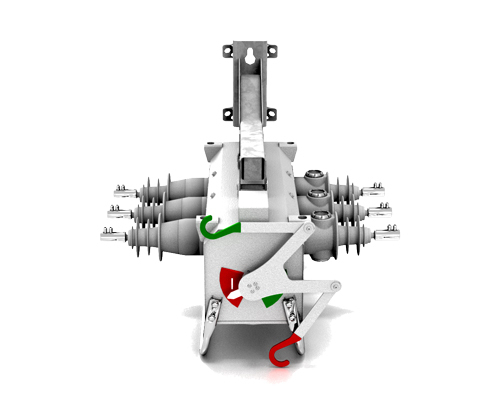 It also features vacuum interrupters with solid dielectric and a unique and patented drive mechanism ensuring safe operational sequence. NOJA Power’s VISI-SWITCH® LBS15-16-800 has a rated maximum voltage of 15.5 kV, a rated continuous current of 800 A and a short time current withstand of 16 kA (for 3 seconds). 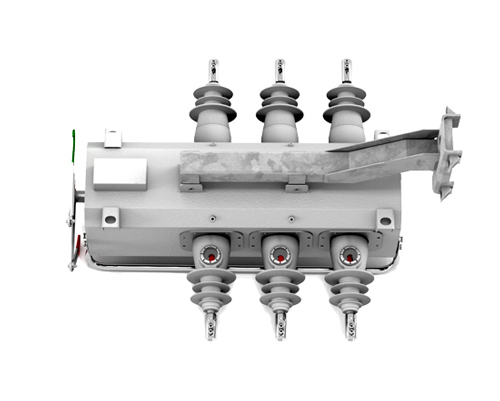 NOJA Power plans to release 27- and 38-kV versions of the VISI-SWITCH® in the near future. 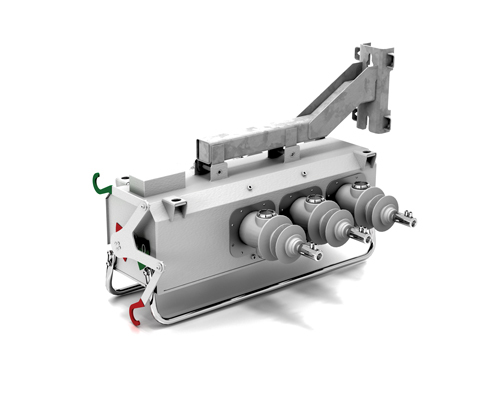 The VISI-SWITCH® features a unique and patented drive mechanism which connects the vacuum interrupters to the isolators and guarantees both parts of the switch will open once operation is initiated. The sequencing of the complete switching operation is dictated by the drive mechanism which rapidly opens the vacuum interrupters to break the current and then, after a short delay, slowly opens the isolators. The viewing window embedded in the isolator bushings can be seen from the ground allowing maintenance staff to confirm that the switch has been isolated prior to commencing work.